In the summer of 1894, two young brothers, Grey and Otway Latham, drug company salesmen operating out of New York, became concessionaires for the Edison Kinetoscope and formed the Kinetoscope Exhibition Company with an associate Samuel J. Tilden and former classmate Enoch J. Rector. The firm's chief purpose was to photograph and exhibit prize-fight films. 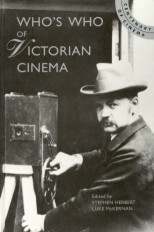 Rector, working at the Edison plant, enlarged the capacity of the Kinetoscope and in June, Michael Leonard fought Jack Cushing in the Black Maria studio. In August the Latham-Rector-Tilden Kinetoscope parlour opened at 83 Nassau St. New York with six enlarged machines, each showing one round. The venture was a success, and a second fight was made of James Corbett and Peter Courtney. (Corbett's royalties would eventually exceed $20,000). In September a second parlour opened in New York City and shortly afterwards others in Boston, Chicago, St. Louis, and San Francisco. They were soon determined to get life-size motion pictures on the screen and called upon their father, Major Woodville Latham (illustrated), for assistance. Major Latham had a distinguished career as an ordnance officer of the Confederacy during the American Civil War. For a time he was professor of chemistry at the University of West Virginia. In Decembet, the Lathams formed the Lambda Company - the Greek 'L' for Latham - and a start was made in their quest for a motion picture projector. W.K-L. Dickson was in on the deal although he was still working for Edison, and Eugène Lauste, previously an Edison employee, taken on as mechanic. Shortly after the first camera test in February, a film was made on the roof of the workshop at 35 Frankfort Street, New York City; Woodville Latham smoked a pipe and the others in the team fooled around. A press demonstration of the Panoptikon projector was held on 21 April 1895, at Frankfort Street. Motion picture production started in earnest on the roof of Madison Square Garden on 4 May with the Griffo-Barnett fight, with the development of a 'top loop' in the camera - so that the intermittent mechanism would not pull on the unexposed stock - enabling much longer lengths of film to be taken at one time. Other productions were the Nicholas Sisters's 'split dance', Duncan C. Ross and Ernest Roeber wrestling, a picturisation of the song hit The Sidewalks of New York, and - filmed at Atlantic City - The Waves. On 20 May a public showing opened in a small store at 156 Broadway. Despite 2-inch wide film being used to enable more light to be thrown on the screen, the projector, little more than a Kinetoscope with an arc lamp behind it, was inadequate; the Photographic Times commenting: 'There is considerable room for improvement and many drawbacks have yet to be overcome.' But some encouragement was given: 'Even in the present state the results obtained are most interesting and even startling. Quite a crowd of people visit the store ... making their exit wondering "How it's done".' Rector left the company to pursue other motion picture possibilities. A young nephew of the Lathams, LeRoy Latham, toured Virginia with the Panoptikon. The machine was re-named the Eidoloscope and in May 1896 gained an intermittent. A top loop, designed earlier to reduce the stress on the long lengths of film used in their camera and known as the 'Latham Loop', was added to the projector, to reduce tension on the intermittently-moving film, (at about the same time as a similar arrangement was being developed by Thomas Armat). Films produced by Gray Latham and Lauste included Bullfight, shot in Mexico and lasting for more than ten minutes. Caught up in internal squabbling, and complex legal and technical problems, by 1898 the Lathams were forced to abandon motion pictures. By the early years of this century they had lost their patent interests to the photo firm Anthony & Scoville. By 1910 Otway and Grey, whose reported hedonistic life style did not endear them to all, were dead, the latter fatally injured in a trolleycar accident. 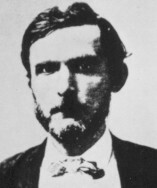 Old Major Latham outlived them, and shortly before he died in 1911 gave testimony regarding the 'Latham Loop' at a hearing of the Motion Picture Patents Company.